unite young people across London from different cultural and social backgrounds. Reduce the risk of social exclusion within the youth sector and instil a sense of appreciation for their differences, whatever they are. inspire young people to build a community together. UDM is the opportunity for them to raise their levels of achievement and self-confidence. This is done by providing attainable goals within an expressive art form and within a ‘safe’ learning environment. enable school groups to participate in a project larger than themselves. The students’ work is put into perspective when they take part in high quality performances around the continent. Create the new generation of samba enthusiasts with the potential to feed into the vibrant adult samba community in London. 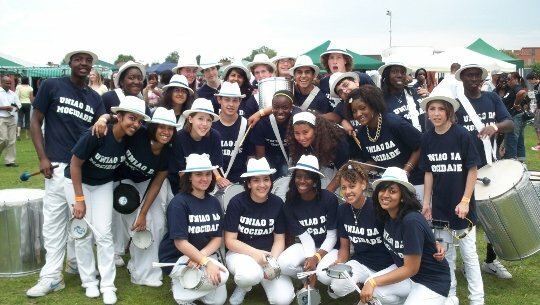 Gain a cultural understanding and appreciation of samba as a carnival art form and its value as a learning medium.